Although French beans are available throughout the year, the mature seeds are sold only in these cooler months. I picked up some the other day from the market and couldn’t wait to cook this dish. The seeds that are sold are fresh and not dried. So they need not be soaked before cooking. The dish tastes somewhat like rajma. Cooking with fresh seasonal produce is such a joy! My backyard has been a hub of activity these past few weeks. Pickles basking in the sun, pumpkin seeds in a sieve, a tray of sesame seeds, orange peel, Indian jujube and chillies, all soaking up the sun. I feel that a little piece of my mother’s backyard is surviving in mine. :) Coming back to the beans, I usually cook them like dal but this time I used some chicken stock that added much more flavour. 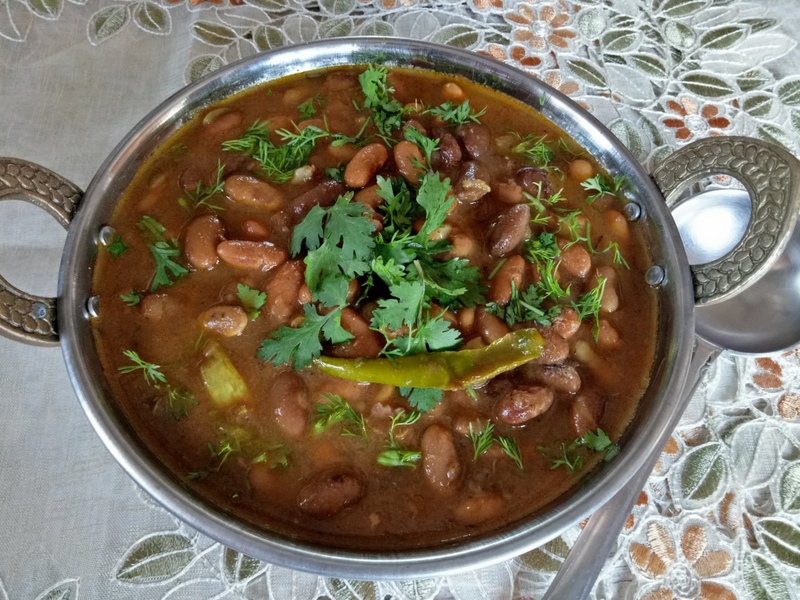 Wash the beans and transfer them to a pressure cooker. Pour some water. 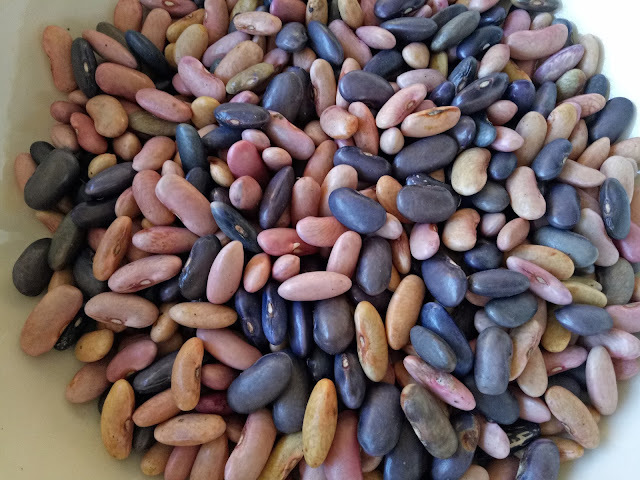 The level should be the same as the beans. At this point I also added onion and garlic paste. Both were added to the stock earlier (I left the skin on) and these were taken out. Both were peeled and ground and the paste added to the beans. Add the cinnamon stick and the bruised cardamoms. Add a bit of salt and cook for two whistles. The quantity of salt added at this point is not much as the stock was well seasoned. Meanwhile heat a pan and add the vegetable oil. Throw in the tejpatta and the cumin seeds. As soon as the seeds sputter, add the green chillies and the onions. Cook till the onions are translucent. Add the turmeric powder and cook till the raw smell goes off. Add the tomatoes and the rest of the spices and cook till the mixture is done. Pour the stock and add the cooked beans. Cook on a medium flame ill the mixture is homogeneous. This might take about 20 minutes. Take out about two ladles of the cooked beans, mash them with the back of a ladle and put the mixture back to the dish. This will make the gravy thicker. Cook till you get the consistency you desire. In my case, I needed some gravy for rice and rotis. Switch off the flame and transfer the contents to a serving bowl. Scatter the chopped herbs on top.